Why are we so afraid of a gun emoji? 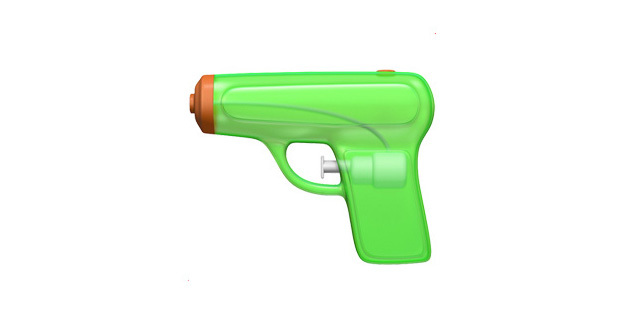 In a press release about new emoji coming to iOS 10, Apple said that it would replace the pistol emoji with that of a water gun. The company didn’t directly address the gun emoji in particular or say whether the move was in response to an open letter addressed to it by New Yorkers Against Gun Violence, an advocacy group that launched a campaign called #disarmtheiphone. The change comes in the wake of several acts of violence involving guns in the US. But I still don’t see why it was necessary and I don’t believe it will remotely help any effort to curb gun violence anywhere in the world. It’d be naive to say that we’ve got everything figured out when it comes to how we express ourselves in conversation, public communication and in the media. For example, take a look at some vintage ads from the 50s and 60s and you’ll find that sexism was more alive and well back then as compared to today. We obviously still have a long way to go. But it’s dangerous to think that there’s some sort of victory in replacing a gun emoji with one representing a toy version of it. What are we trying to achieve here by switching out a dangerous-looking weapon with a plaything? I find guns scary. To me, they represent evil, desperation and cruelty. I’ve never found the need to use the gun emoji in conversation. But when I see it used in a tweet, I know it spells danger and I pay attention to it accordingly. I’m not saying we shouldn’t discuss gun violence or stop entertaining ideas about changing the way we highlight guns in media and our daily lives. There may certainly be lessons to be learned there. However, I think it’s crucial that we look at actual remedies to solving the gun crisis, like getting the US National Rifle Association (NRA) to stop fighting any kind of research into the epidemic that is gun violence, and having rational discussions about the issue. Tweaking an emoji doesn’t seem like any sort of solution, even a partial one, to a problem of this nature. If we’re far less successful in keeping guns out of the hands of dangerous people than we are removing the emoji from our vocabulary, we’ve got a lot to think about.